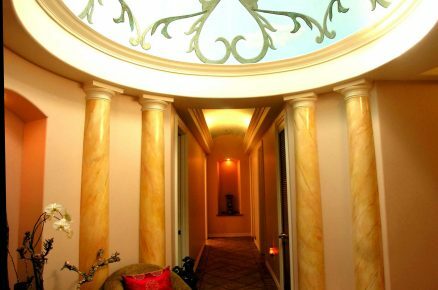 Qui Si Bella Medi-Spa - Lawrence Thompson Architects, INC.
"A surprising, serene and classic retreat"
This 4,200 sf. 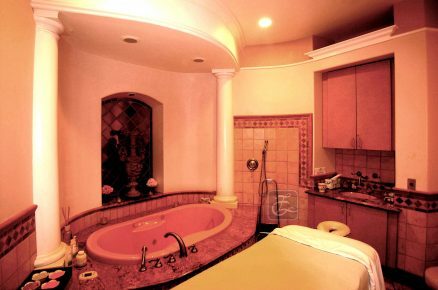 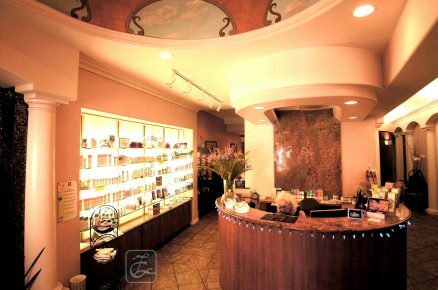 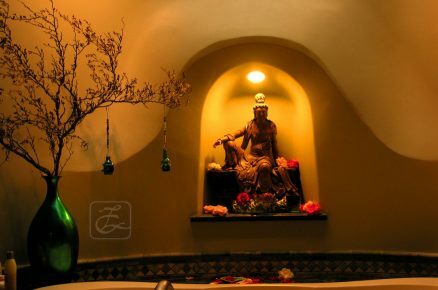 medi-spa at Loreto Plaza, 3311 State Street, Santa Barbara, uses Tuscan, Roman, and Far Eastern themes with warm or quieting color schemes, enhancing the recreative potential of the spa's many uses. 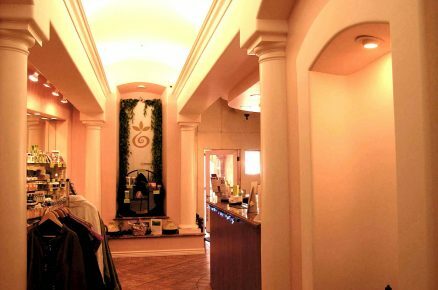 After a colonnaded interior promenade with arch-vaulted ceiling, several treatment rooms are entered which evoke a soft, meditative environment in keeping with the spa's overall ambiance. 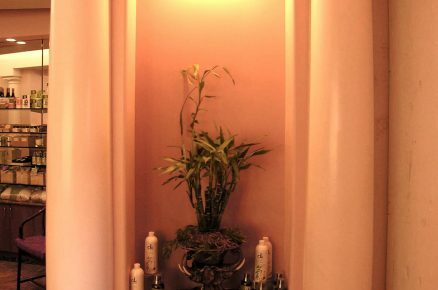 Over 80 types of tile were used to create the variety and character of spaces desired by Chrys Huynh, proprietor.